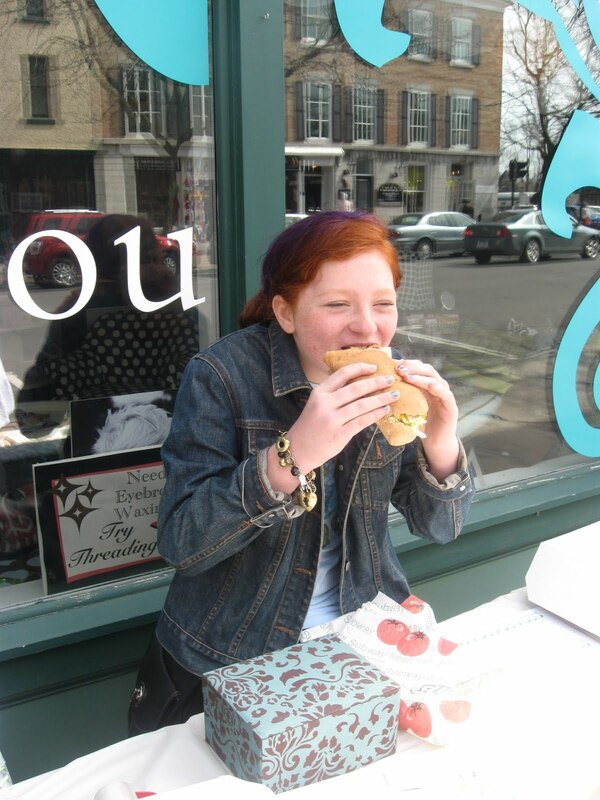 Bijou - A gem of a little salon in Skaneateles: Bake Sale, last two Saturdays! 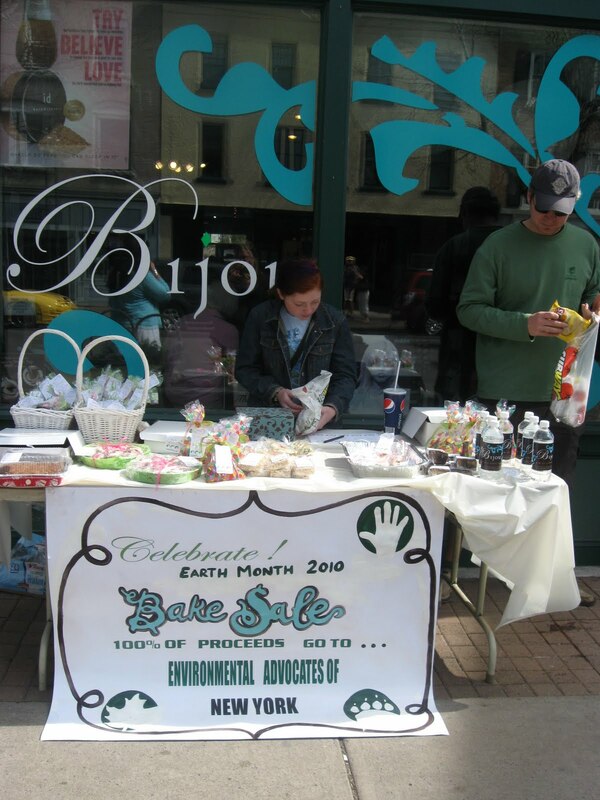 Bake Sale, last two Saturdays! We've had such great success earning dollars for the Environmental Advocates of NY in honor of Earth month! Largely in part to this little cutey! Chloe who aspires to be a Chocolatiere (ooh cannot wait!) has been lending a hand and manning the table! A sweet selling sweets! Chiara, who also painted our relaxation room, made this perfect sign and Shelly made lovely little tags to use! AND all our wonderful friends of Bijou have made goodies over and over and bought goodies over and over...Even Mark of Doug's fish fry came over and bought 30 packages of cookies for his employee's! What a great neighbor! Bill of Johnny Angel's has let us borrow his table for these Saturday's and for that we are grateful! Any little bit helps, especially when lots of people do "little bits"! Thanks from us all at Bijou!